We have been renting a storage unit for over five years now and I have the manager to be helpful and courtious . The facility is well kept except for the potholes in the driveway and around the buildings. I’ve used this storage mall several times, its a great place , always clean and very accommodating . Staff is very friendly making sure my needs are met. I highly recommend the storage mall. THE SERVICE IS EXCELLANT AND I WOULD RECOMMEND THIS FACILITY TO FRIENDS AND FAMILY. THEY ARE VERY HELPFUL TO GET THE BEST FOR WHAT U NEED. I couldn't be happier w/my experience at the Endicott Storage Mall. Jeannine & Terry have been more than accommodating; anticipating my needs; recommending services outside their own. 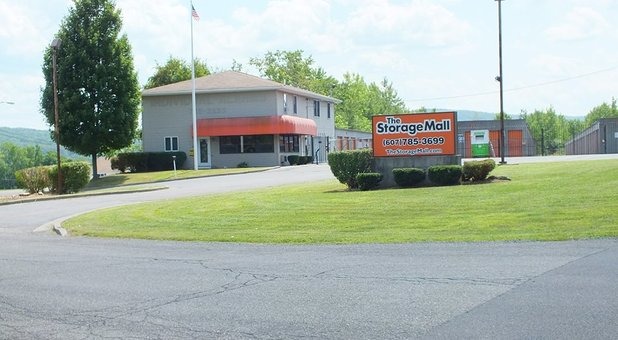 I would definitely recommend The Storage Mall in Endicott to family and/or friends. The storage units are high and dry and clean. I felt my items were safe and secure. The folks who run the place are professional and helpful and pleasant to work with. Thank you! Everything went very well & am HAPPY with how the procedure went.